Today as a part of the ongoing Relationship Blog Hop, I’m happy to have a post by Stevie Mikayne. 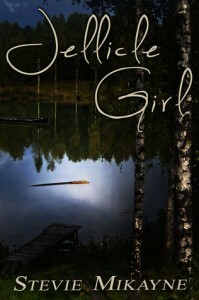 Stevie’s book Jellicle Girl just released on August 15th and looks like a great read. Make sure to enter the giveaway at the end of this post and visit all the other participating blogs for additional ways to enter. Last night I messaged my editor. I’m supposed to write a blog post about relationships with men—preferably pertaining to Jellicle Girl. Suggestions? He wrote back: Well, Beth has pretty complicated relationships with the men in her life. I’d like to know how she feels about that when she’s older. Interesting idea. I’m a full decade older than Beth, so if my experience with men informed hers, I’d be the future self my editor talked about. Am I? Well, not really… I’ve never seduced my high school chemistry teacher, or adopted a flavour of the month… but I did go through more than a few boyfriends in my attempt to find the one. Growing up, I attended an all-girls’ school. Went to an all-girls’ camp. Swam on an all-girls’ swim-team. Had a mother and a sister, but no consistent father. I did, luckily, have a grandfather, who taught me everything I should expect from a man. He’s my highest standard, and damn near impossible for anyone to live up to. But relationships with boys? Not until my final year of high school, and not seriously until university. As a young adult, I figured that the intensity of relationships between me and the women in my life would naturally extend to the men in my life… when I finally met some. Naturally, one of those friendships would grow and blossom into love and attraction…. Instead, I entered into one ill-conceived relationship after another, none of which ever ‘stuck.’ I viewed men as an interesting group—closely related, but very different from, my all-women’s world—fascinating creatures with a charmingly foreign language, culture, and set of ideals; peculiar habits I had no idea how to interpret, an attraction for women (which I understood), and a general dislike for crying in public. I peered into their lives like a spectator at a sporting event—not sure of the rules and having difficulty following the plays. I reasoned that my lack of understanding in the ways of men might be what held me up. Once I got to know them better, perhaps I would fall in love with one of them and go on to have a “normal life”…. Of course, that didn’t happen, but it was a nice idea at the time. When writing Beth’s character, I imagined what life would have been like if I’d gone to a co-ed high school. I imagined what she’d do, and how she’d cope with figuring out who she was. She goes through a lot of what I did: thinking it was just the circumstances, or just the guy, or just the wrong timing. She tries hard to make things work with a variety of different men and finally has to concede that no matter whom she sleeps with to try to encourage “normal feelings,” her actions won’t change the fundamentals of who she is. Being exposed to men is not going to make a lesbian straight, just like being exposed to men isn’t going to make a straight guy gay. So, do you feel like you’ve missed out then? In your all-women’s world? Has it made you a man-hater? No. Actually, the opposite it probably true. Being in an all-women’s world meant I avoided a lot of the issues that polarize men and women in society. I grew up taking women’s equality for granted, and had no reason to feel oppressed or underprivileged because I was a woman. I went from an all-girls school to a mostly-women’s university programme to a female-dominated career. If ever there was a glass ceiling in my way, I never saw it. Either I had an unusual amount of confidence, or I was completely oblivious. In any case, I carried right on pursuing my ambition. Entering the publishing industry has really been my first foray into the world of men. Our team is split fairly evenly, which is a new experience for me. Men bring a certain ruggedness to the table: a distinct brand of humour and a protective instinct that’s physical, especially for a virtual environment. I’ve made some really interesting friends, particularly my editor, who’s the first man in my life (besides my grandfather) that I’ve let root around inside my psyche. He’s both firm and sensitive—the perfect balance for a control-freak writer. My publisher is the first male boss I’ve ever had. It’s rather a nice change from the minefield of female politics. He likes things correct and he likes them on time, and if he doesn’t get what he wants, he tells me point blank. I like it. I like it a lot! We talk for hours on Skype, which surprised me at first. After all, what would two people so different from one another have in common to talk about? A great deal, as it turns out. One of the things I appreciate most about him is that even though his labels all come from the ‘majority’ pool: straight, white, American, man, he has never once suggested that I be shuffled off to an ‘alternative’ category because my labels are mostly minority ones: gay, Canadian, woman. His attitude is that Good literature is for everyone. Since that’s what I write, we’re both happy—he, because he doesn’t have to deal with politics, and I because he doesn’t force me into that arena. Yes, I have minority characters. Yes, I believe that’s very important. No, Beth’s not a man-hater, and neither am I. Inexperienced with a guys’ world, maybe, but definitely not a misandrist. Have I had any good male role models? Yes. The word role-model automatically conjures an image of my high school band teacher, Mr. Gerow. A trombonist who taught at an all-girls’ school, he despaired that almost the entire band played the flute and clarinet. When I told him I wanted to play the tuba, he shoved that instrument into my hands so fast I almost fell over. Wickedly excited, he spent the next four years searching for music that featured the brass section. Every chance he got, he’d pick up his trombone and play along with me so I’d be sure to keep up. And when it came time for our final concert, he waved around the sheet music for the Mission Impossible theme like it was the greatest prize ever—just for us. Yes, it’s true: I’ve only had a handful of men in my life. But luckily for me, that handful wore pretty big boots. About Stevie: Writing is as vital to my life as chocolate and Yorkshire Gold tea. First tea, then writing, then chocolate. Usually all by 8AM. 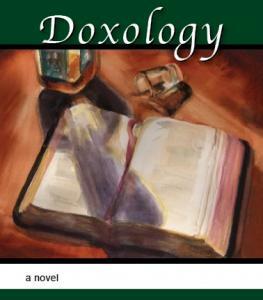 Mostly, I write contemporary literary fiction. I try to combine my deep love of traditional literature with my obsession with dynamic characters and strong language. Also, inventive expletives. Stevie, I love this post. I think it’s the best one you’ve written, because it conveys who you are both as a person and as a writer. I’m glad the men in your life have all been wonderful, and I whole-heartedly concur with your praise of our publisher! What? ALL wonderful? Hmm. I’ll have to think about that. But I definitely had some good ones. We can learn a lot from our editors. Great post and yes good relationships with men are important I’ve had some good one and some total fails but friendships have been what have mattered so much and what really mean a lot to me. Interesting post. Having 4 step-brothers myself I have no idea what a world of primarily women would be like! Let’s go back in time 20 years, and I’ll trade you my little sister for one of your step-brothers… just for a week. We’ll see how that goes. Thanks for the kind words, Stevie. I’m glad we’ve become teammates in our literary pursuits. Evolved Publishing is a better company for having you as a part of it. Oh look! A comments stream! LoL. Thanks for reading, everyone. Beautiful post! I loved it so much. You are awesome. Raising three girls, I’m really interested in your assessment of being in so many all-girl environments. We’ve thought about that for them. Would it be better for them, less pressure to impress the boys? Fewer glass ceilings? “I grew up taking women’s equality for granted, and had no reason to feel oppressed or underprivileged because I was a woman.” << THIS! I love this. I want this for my girls. I wish I'd had that for myself! Thanks so much for sharing this, and I bought Jellicle Girl and CANNOT wait to read it. But that editor you talked about? Yeah, he likes stuff on time, and I'm so freaking far behind it's insane. So, I'd better get back to work. Love this post & congratulations on your release! I have several important men in my life as well – my husband, my father, & my brother (not to mention my two boys.) It sounds like you have a great support circle around you & chocolate before 8am? Now we’re talking!